Say NO to recreational fishing lockouts! Remember the days when you could go fishing without anyone interfering? We are working to save recreational fishing access in Sydney Harbour and in all waters from Newcastle to Wollongong. We need your help...we produced a video to show that the recreational fishery is healthy and sustainable and to debunk some of the myths being used to push fishing lockouts in the Sydney region. We shot professional video footage both above and below the water to give us up-to-date images of what we see every day as anglers: a productive fishery that can easily sustain well-managed recreational fishing. We have been very grateful that Sydney rec fishers helped us by donating to our fund raiser. In fact they donated enough for us to start work on a second video, and we need just a few more dollars to complete that. We need you to help us by donating a modest amount to complete the second video processing and production. Once completed the video will be shared on websites and social media. You can donate with PayPal or a credit card. Your donations will be used to meet video production and editing costs. Remaining funds will pay for promotion on social media and website expenses. Extra funds, if received, will be used to take more video footage and continue with a further campaign to prevent recreational fishing lockouts in the region. Your donation will be received by the Recreational Fishing Alliance of NSW, an incorporated not-for-profit association registered in NSW. A full account of donations received and how the funds have been spent will be shown on our websites www.sydneylovesfishing.com.au and also on www.rfansw.com.au. Click below to make a donation to our fund raising account using Paypal or a credit card. During 2016 the NSW Government's Marine Estate Management Authority (MEMA) has been reviewing the conservation management of the waters around Sydney. They are looking at whether anglers should be locked out of some areas. They have identified 59 locations traditionally used by recreational anglers as possible lockout zones. Click here to see the map of 59 locations. The main argument used against anglers is that recreational fishing is not sustainable in these locations due to over-fishing. We don't accept that, and our observation as anglers is that the fishery available around Sydney is in good condition, and that recreational anglers do not have a major or unmanageable impact. We believe that there are ways to better manage and conserve the marine environment and that the NSW Government should address those challenges before it starts locking out the tens of thousands of recreational fishers in the Sydney region. We have been campaigning to stop the lockouts by meetings with the Hon Niall Blair MLC, Minister for Fisheries, public consultation meetings with MEMA, representations to the NSW Government's Recreational Fishing NSW Advisory Council, email and social media campaigns, lobbying fishing writers and personalities for support and publicity, etc. Yet we are still not confident that recreational fishing access will be retained in these historically important locations. We need your support to produce this video which will show that the recreational fishery around Sydney is sustainable and can be managed for the benefits of the fishing public. We've produced one short video with assistance from money donated by recreational anglers. Now we're working on another one. Make a small donation to help us using credit cards or PayPal. 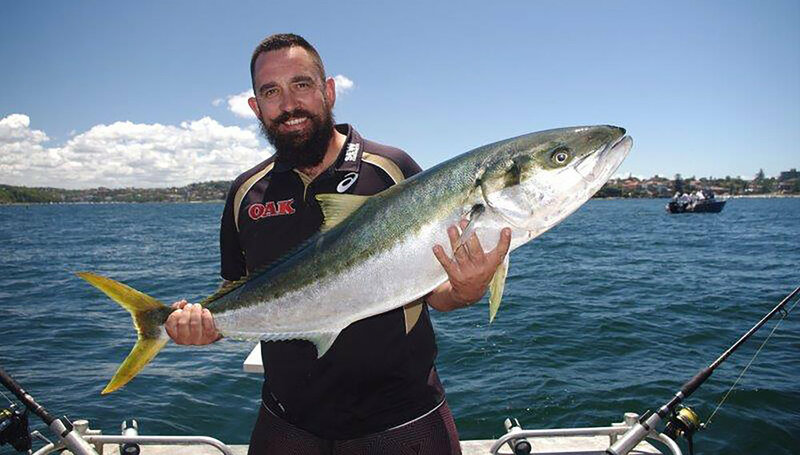 NRL legend Tim Mannah is a keen rec fisher, he helped us make this video about the importance of keeping access to Sydney Harbour Wharves.The wharves are important to thousands of recreational anglers. Look after them so that we all continue to enjoy access. Be polite to commuters and other users, keep the noise down, keep the place cleaner than you found it. Fishing the wharves is a privilege not a right so we need to do the right thing. Join our mailing list to get any email bulletins we send out as part of our campaign to save recreational fishing access. Here's a video starring the Daily Telegraph's fishing writer Al McGlashan that the RFA of NSW recently co-produced with NSW DPI Fisheries. Our wharves are too good to lose and they give access to everyone. Access to these places is something we can never take for granted, it is a privilege we have earned and we can only keep it by doing the right thing. At the same time with Sydney’s population exploding the government also has a responsibility to be forward thinking and actively promote outdoor recreation for the people of Sydney and of course fishing is right up there at the top of the list. 3. Fishing the wharves is a privilege not a right so we need to appreciate it. Our Sydney Harbour Wharves are important to thousands of recreational anglers, especially those with accessibility challenges or no personal transport to take them to far-flung locations. Look after them so that we all continue to enjoy access. Be polite to commuters and other users, keep the noise down, keep the place cleaner than you found it. We want to thank the more than fifty Sydney rec fishers who helped fund our latest video. People like Gus Dunn, Stan Konstantaras, Andrew Dorman, Samantha Collins, Mark Nicholas, Anthony Grech, Terry Van Zwieten, Mick Smith, Peter Gibson, Steve Poulos, Mark Pirie and Malcolm Poole—and dozens of others. We want to thank everyone who volunteered their work time and professional services to produce the videos—a bunch of guides, divers, video producers and editors, web design people and many others. Thanks people, it made all the difference. Read more about keeping recreational fishing alive for the public in the Sydney region.